Her name is Maria Patriche. She came across my photographs by chance and first wrote to me in late November 2013, telling me about the Roma community in Caracal. First of all, she offered to help me find a story that might be of interest to me, but she quickly realised that it would be better if she told me herself about the problems people face and in that way I might be able to help them, by making their sufferings known. In the beginning, I answered her that my time and resources were limited, and so if I were to travel to Caracal, the situation there would have to go beyond just poverty. And so we decided together that if an obvious case of abuse on the part of the authorities came to light or any other infringement of human rights, she would contact me and I would come straight away. In February, the members of an entire community of Roma on Negru Voda Street were notified that on 15 March they would have to vacate their flats, which they were supposedly occupying illegally. Around seventy people were living in that social housing. Most of them had been living in the buildings for more than thirty years. They all had rental contracts with Caracal Town Hall. Most of the contracts expired during the course of 2013 and although the tenants had tried to renew them, the representatives of the town hall would not hear of it. Even when the contracts were still valid, the tenants were not allowed to make any improvements to their homes and over the course of time they were continually told not to bother, as it would not be long before they were evicted. It is hard to imagine how a person can live in such stressful conditions. As soon as I arrived there, I realised what was going on in fact and I contacted Amnesty International and via them the ERRC. Two days later, Amnesty International sent letters to the town hall, the prefect, the Public Ombudsman, and representatives of CNCD, demanding explanations and a firm stance. Less than a week later, a lawyer from the ERRC arrived in the community and signed contracts to represent all the people affected in court. I dream of the day when the situation of the land on which the Roma built houses decades ago with the permission of the authorities will be resolved, at least by granting them the right to use the land for a period of between fifty and a hundred years, thereby putting a stop to these barbaric practices, which are ultimately what turn the Roma into nomads. General view of the entrance to the Roma social housing complex on Negru Voda Street, as seen in Caracal on March 12, 2014. 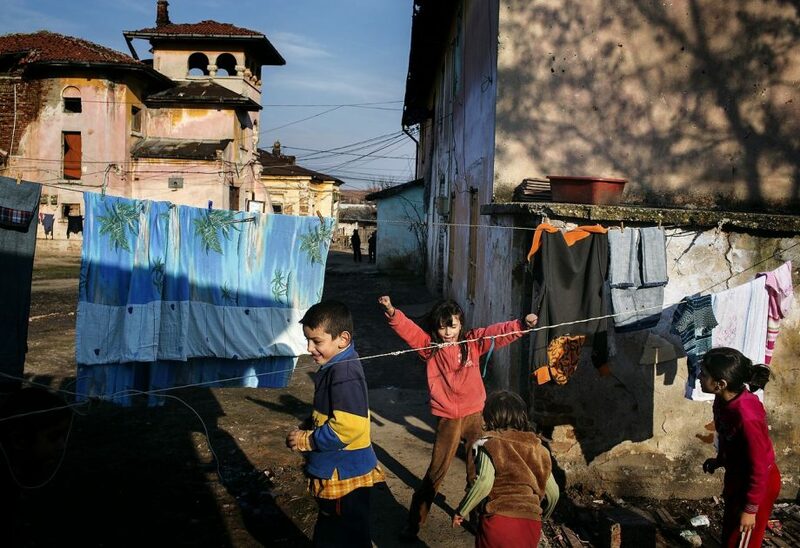 On March 15, given the eviction notification received from the local authorities in Caracal, approximatively seventy Roma people where suppose to evict the apartments they occupied in a social complex on Negru Voda Street in Caracal, most of them for more than thirty years. By issuing the eviction notice, local authorities didn’t consider any alternatives nor the right to adequate housing. Roma people, as seen inside a Roma social housing complex on Negru Voda Street in Caracal on March 13, 2014. On March 15, given the eviction notification received from the local authorities in Caracal, approximatively seventy Roma people where suppose to evict the apartments they occupied in a social complex on Negru Voda Street in Caracal, most of them for more than thirty years. By issuing the eviction notice, local authorities didn’t consider any alternatives nor the right to adequate housing. Olteanu Cristian (L), Georgeta (M) and Gratiela, Romanian kids of Roma origins playing inside a Roma social housing complex on Negru Voda Street, as seen in Caracal on March 12, 2014. 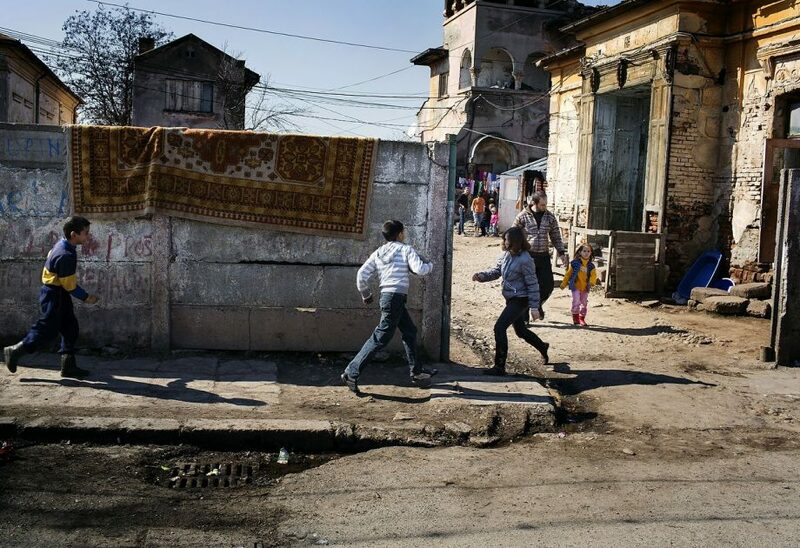 On March 15, given the eviction notification received from the local authorities in Caracal, approximatively seventy Roma people where suppose to evict the apartments they occupied in a social complex on Negru Voda Street in Caracal, most of them for more than thirty years. By issuing the eviction notice, local authorities didn’t consider any alternatives nor the right to adequate housing.